Story: HOLLYWOOD, Fla, USA - It's not commonly known that the original Hollywood sign from 1923 was replaced in 1978, a costly movement spearheaded by celebrities including Hugh Hefner and Alice Cooper. HWC purchased the remaining metal from the original sign and designed a functional way for fans to own a piece of this iconic monument. Everyone loves movies – now enthusiasts can enjoy the legacy of film by placing a piece of its history onto their wrist. The metal from the original sign is finite. 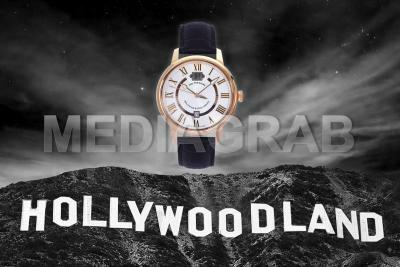 Only a select few will be able to own an HWC timepiece with Hollywood sign metal on the dial. Named The Premiere Edition, this watch is timeless yet contemporary. HWC spent two years refining the design to ensure the very best Swiss-made quality at an affordable price. Each watch delivers the quality you expect in a Swiss-made timepiece with Swiss movements. The metal is treated to maintain the integrity of the aged weathering. The leather strap options feature quick release and deployment buckles. Mesh and metal bracelets also available. "Every watch is aligned with our core values: timeless style, quality, history, heritage, integrity and Americana." - Antoine Mandy, Director of International Retail. 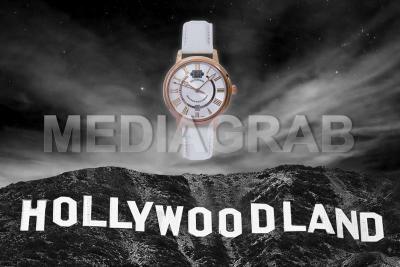 HWC honors Hollywood's legacy of enriching lives through cinema by placing the original Hollywood sign onto the wrists of the people, one watch at a time. Shows: Photo, Video and Text assets.